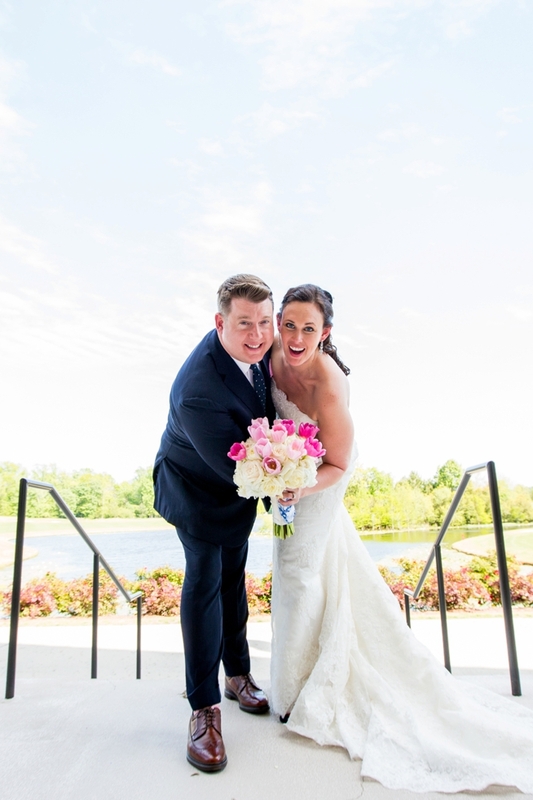 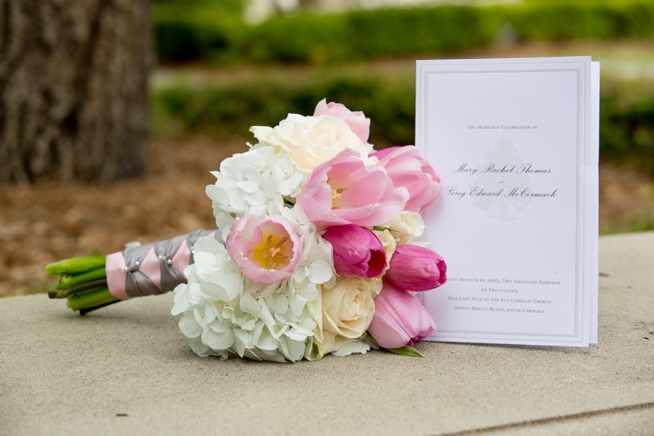 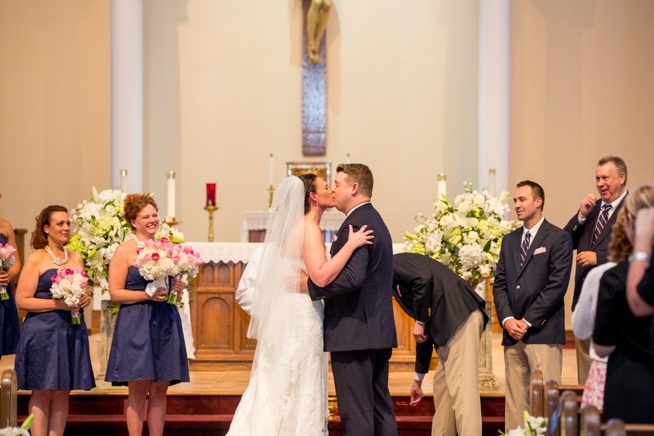 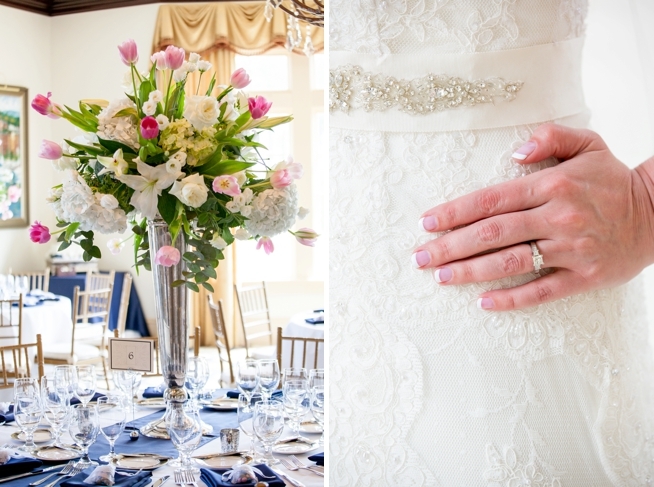 When it came time for Mary to start planning her Grand Strand wedding to fiancé Greg, she knew two things— there must be tulips and Leslie Menich of Memorable Moments would be the lady to put it all together. 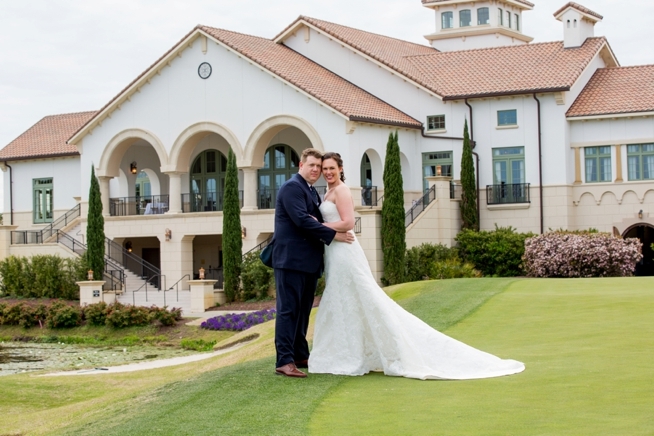 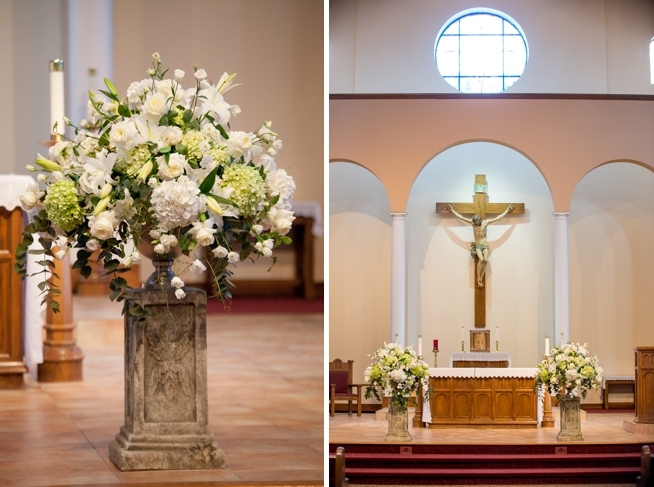 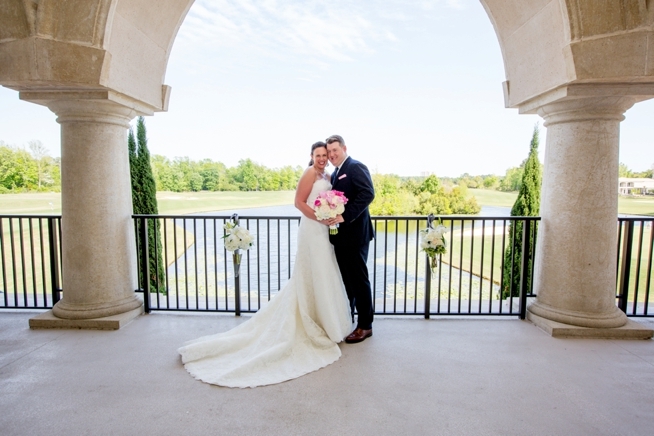 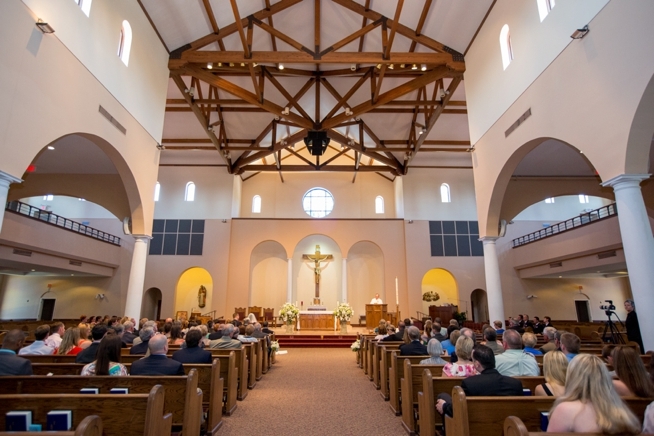 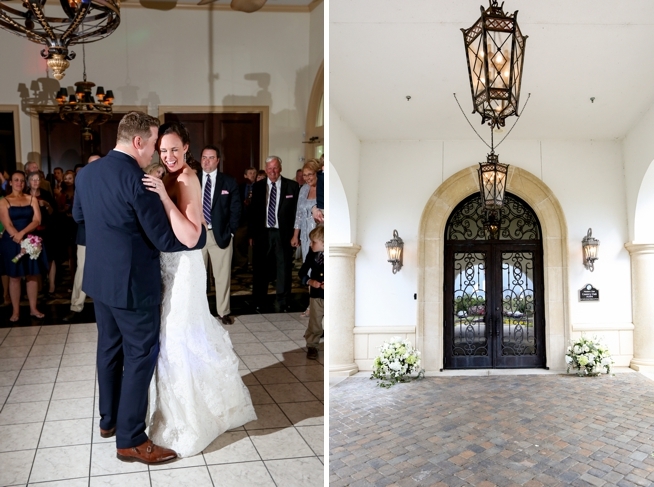 After a breathtaking Catholic ceremony at Our Lady Star of the Sea, the newlyweds lead their guests to a flawlessly decorated reception at the Members Club at Grande Dunes. 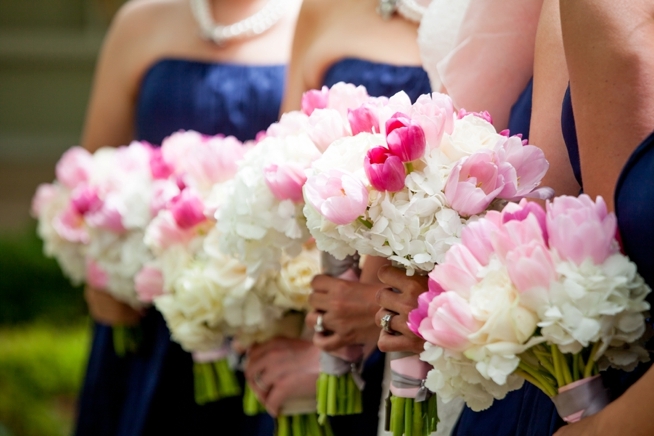 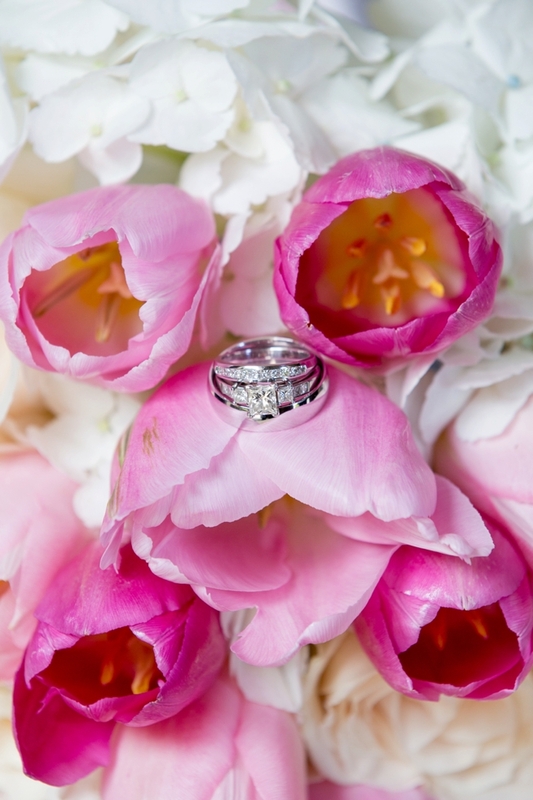 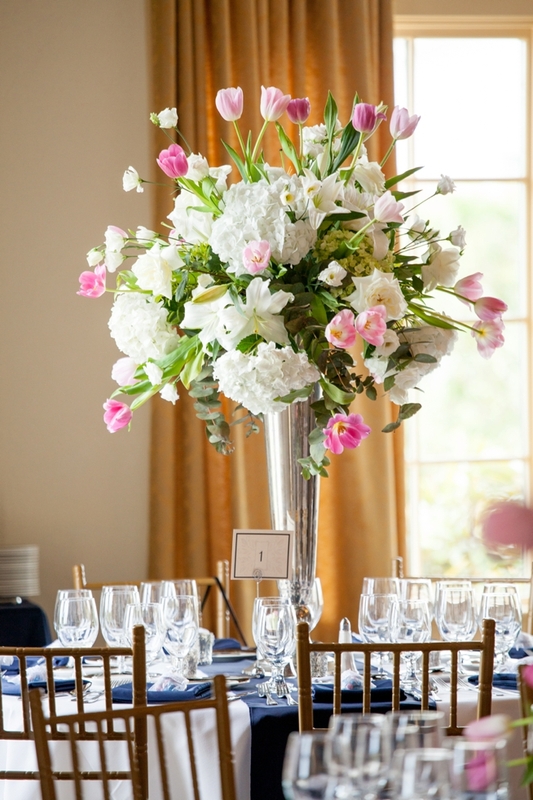 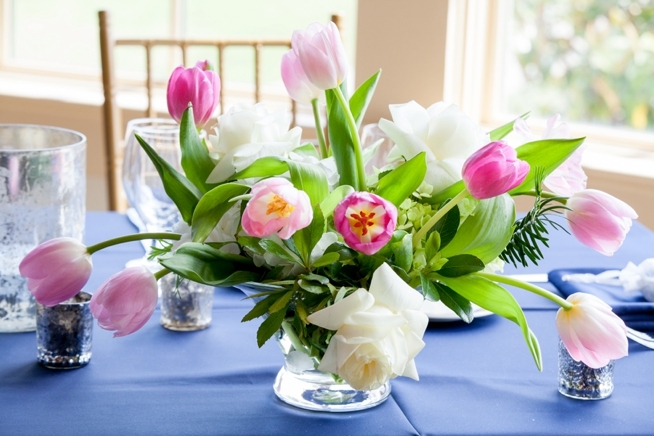 It was there that Mary’s pink tulips (which were is perfect shape for her April wedding) stole the show overflowing from each arrangement artfully crafted by the team at Blossoms Events. 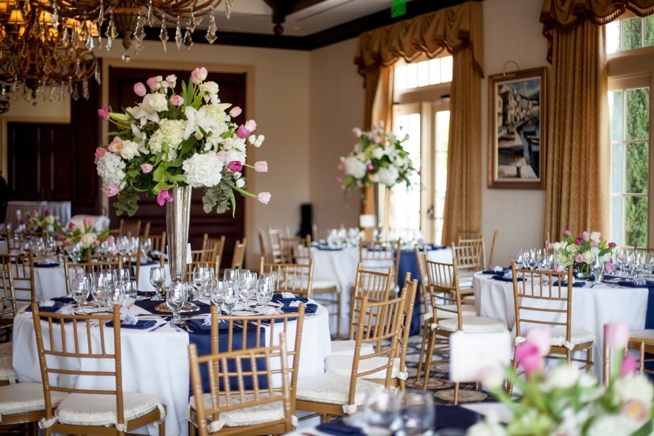 The palette of navy, pink, and silver took shape in the modern, fresh and elegant design featuring navy bridesmaids frocks, mercury glass votives, and light stained chiavari chairs. 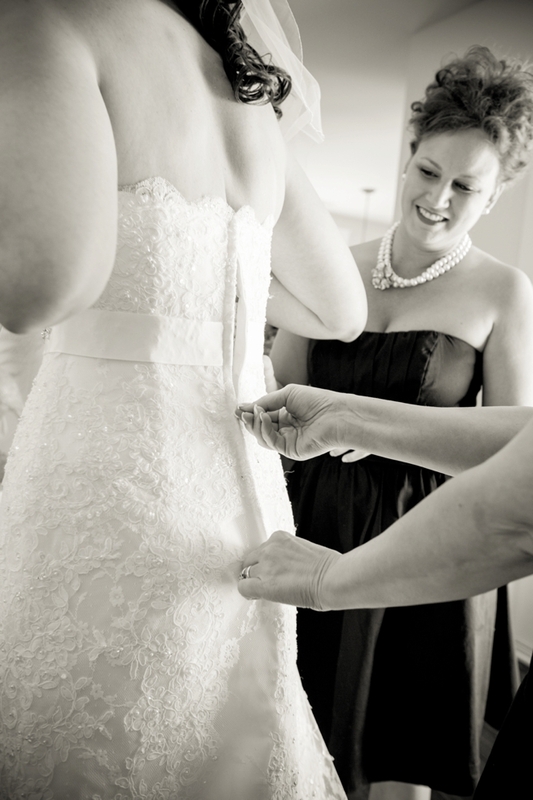 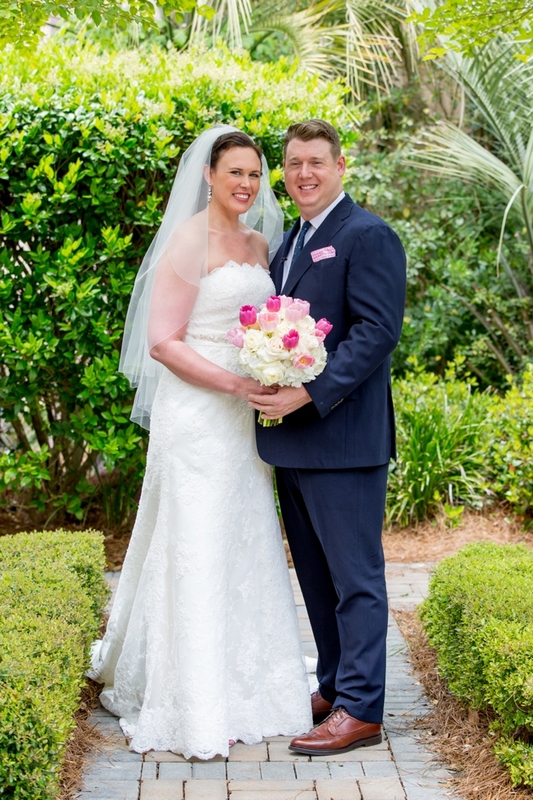 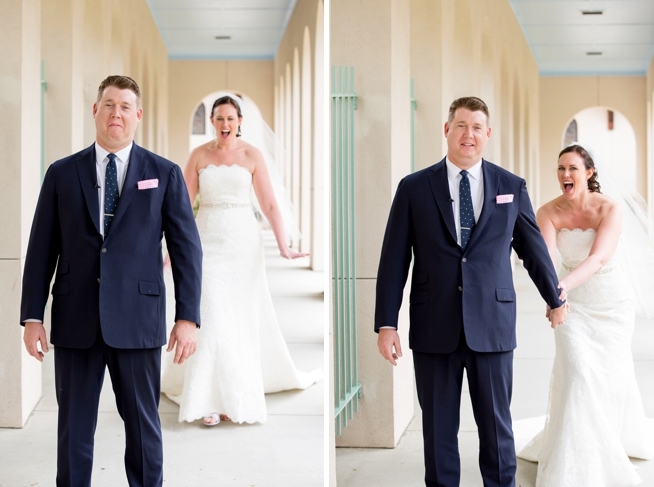 From beginning to end, Mary and Greg’s elegant Myrtle Beach wedding, captured by Brooke Christl Photography, is nothing short of perfection. 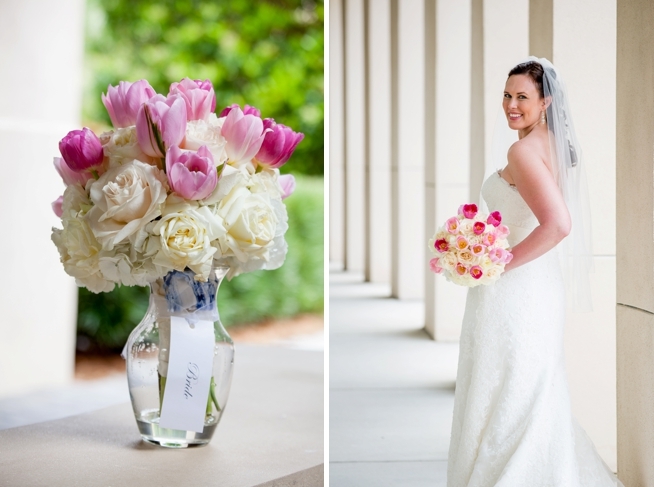 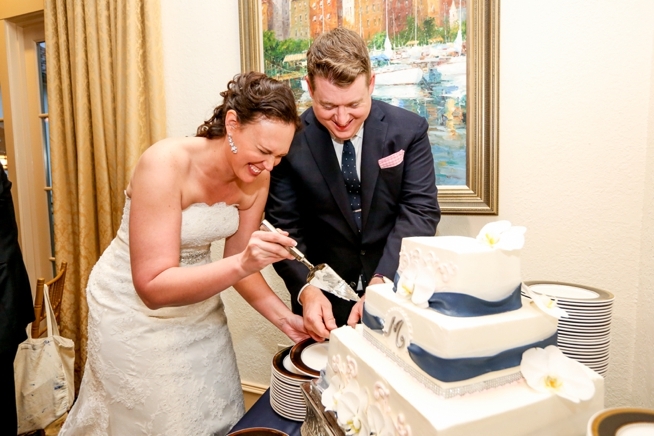 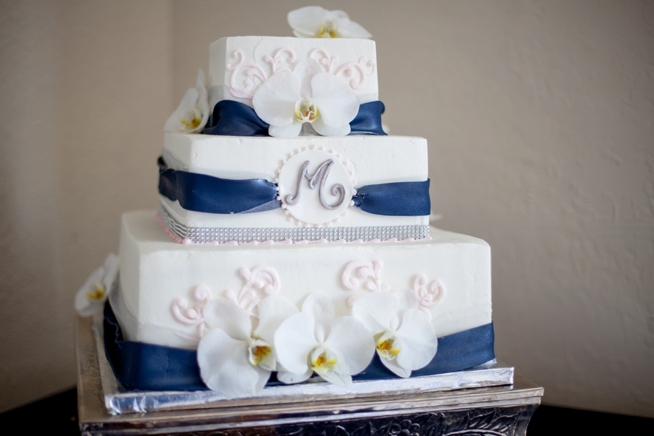 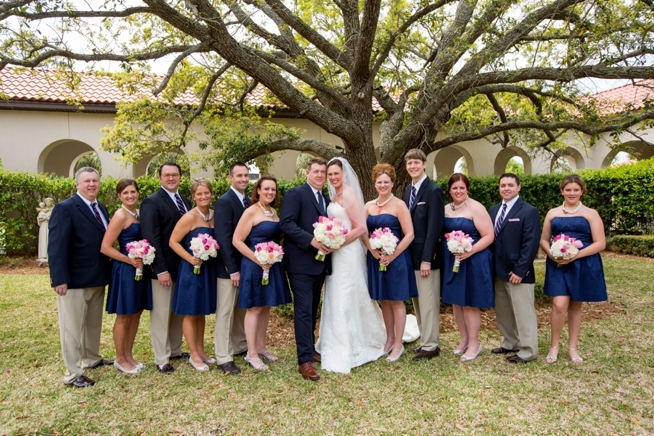 What a way to start another year of beautiful Grand Strand weddings!